We have received very positive feedback from our Caring For You Workshop participants over the past year and many have suggested that it would be even better as a full day retreat..........We are delighted that we were able to make this a reality, so please join us on November 26th! This full day "Caring For You Retreat" will provide a practical and meaningful experience for participants to engage in their own social and emotional learning and deepen their understanding of evidence informed ways to strengthen their own Heart Mind well-being. The retreat will integrate research and practice with community building activities, yoga, stress management techniques, meditation, and journaling. 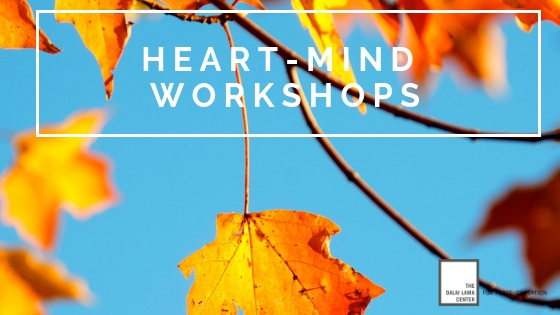 Through the exploration of self-care strategies, including breathing exercises and mindfulness practice, participants will have an opportunity for self reflection and to identify ways of integrating Heart-Mind well-being in their lives. In the workshop " A Focus on Adolescence", on November 27th, we share current research, scientific knowledge, best practices and practical strategies related to the promotion of social and emotional development in teens. The workshop is designed for adults who care for or work with teens. Reflect on their own approach and/or parenting style in areas related to limit and boundary setting, and maintaining connection through effective communication with adolescents.